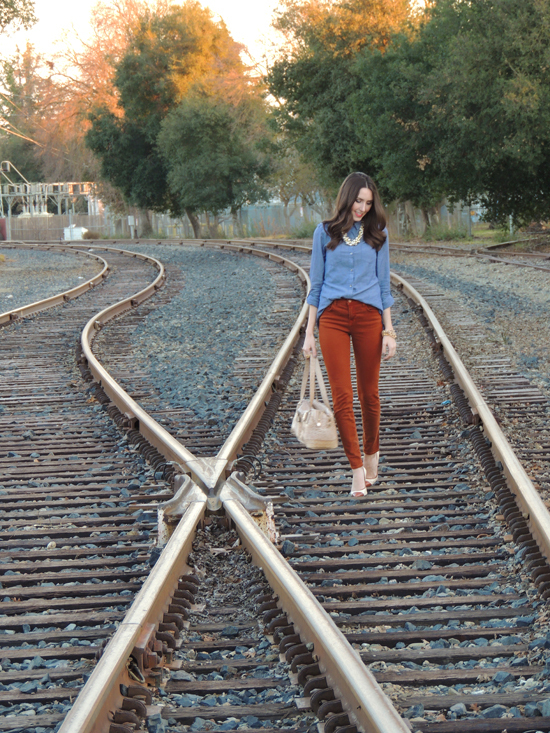 Kacie, personal style blogger from Kacie's Kloset and owner of Daisy Rae Boutique (we love luxe for less styles & everything on her site is under $50!) 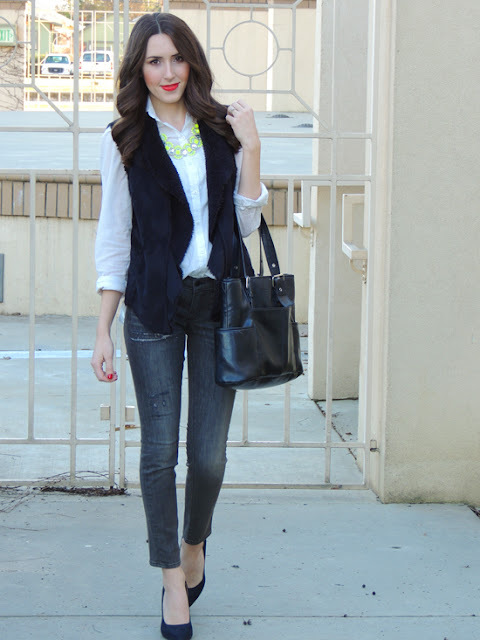 shows us how she would style our Luxe Pearl Baubles Necklace. ALSO; take a sneak peek at a brand new statement necklace from our upcoming "Highlighter Hues" Collection launching this week! 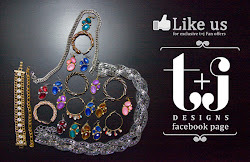 You don't want to miss out on her fabulous looks below. 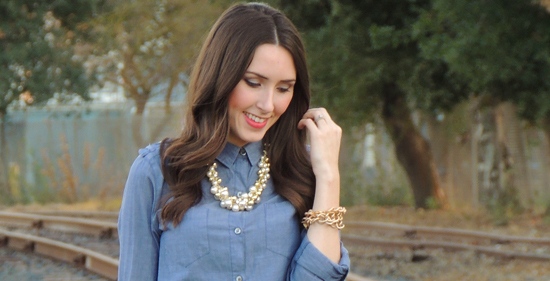 Kacie refers to this denim and pearls combo as the "perfect pair" and we couldn't agree more. These precious gems add just the right amount of elegance and sparkle to help dress up a chambray denim shirt. SPOILER ALERT! Only kidding. But get ready for a sneak peek at a piece from our "Highlighter Hues" Collection! 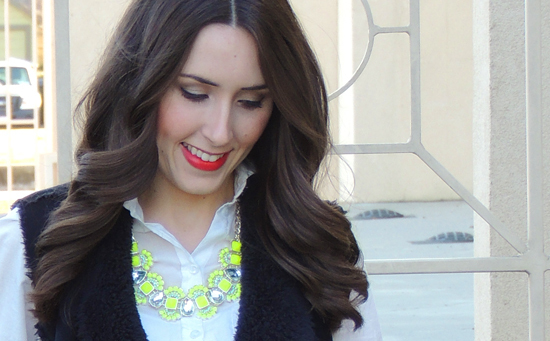 We love how Kacie really made this neon statement necklace the focal point in this look. 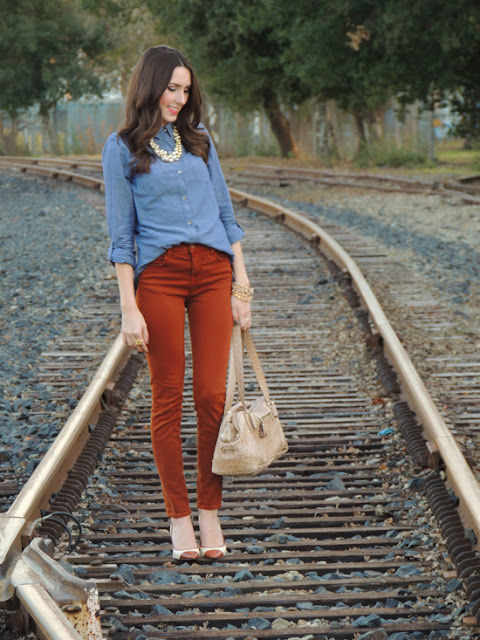 The pop of lip color also helps to bring brightness to her all-over neutral garments. 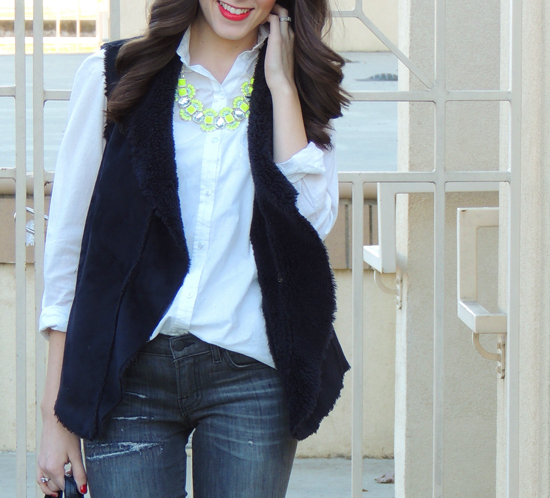 How perfect does navy look with the Highlighter Yellow necklace?! What was your favorite look from Kacie? Are you excited for the launch of our "Highlighter Hues" Collection? Special thanks to Kacie for her fab style inspiration & for being a part of our "Style It" Blogger Series! 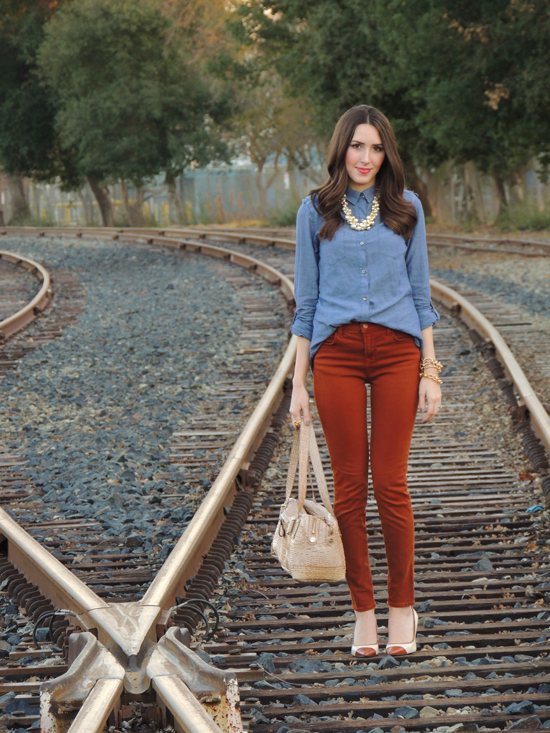 Stay tuned for more style direction from other amazing bloggers every month!